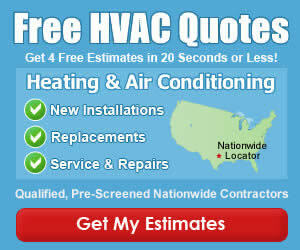 How Much Does a Replacement Furnace Cost in Charlotte? Heating season is quickly approaching here in Charlotte NC, and many of us will need to deal with gas furnaces that may not work properly during initial furnace startup and need repair, or even worse have a terminal failure like a bad heat exchanger, and need to be replaced with a new furnace all together. Scheduled furnace maintenance can spot most issues before they become a problem. A few weeks ago, we looked at various things you can expect around furnace repair when it breaks down and we got several emails asking about the price of a replacement gas furnace. In this Charlotte HVAC Guide, we’re going to take it to the next step, and help you understand about Charlotte furnace prices and how much a new gas furnace might cost for your Charlotte NC area home. The first thing to effect what you pay, is going to revolve around what is being replaced. Are you going to replace just the furnace, or will you go all the way and replace the entire heating and air conditioning system? In all but the most extreme cases, you can replace just the furnace, separate of the central air system, although it’s not always the best choice. If you are getting a furnace estimate, you might as well have the contractor price it both ways. Replacing just the gas furnace is going to be the cheapest way to get a new furnace installed, and if you are short of money for the installation, it will get you through the winter with heat in your home. Bear in mind, you will have to deal with the air conditioner system sooner or later, and although you may save a little now, it may cost more in the future. Follow the guidance of your HVAC Contractor, and always make sure you get more than just one opinion! $$$ – Furnace, AC (or hybrid system) and Coil, New Duct work and System Accessories. The second factor in how much your new furnace price is going to be, depends on that actual furnace itself. Obviously they come in different sizes, or heating capacities, and bigger costs more. The difference between a 40k btu furnace and a 120k btu furnace can be several hundreds of dollars. Along with the size of the unit, the AFUE Rating, (Annual Fuel Utilization Efficiency) or how effective it is at converting fuel into heat, will have an impact on the cost. Lower efficiency ratings, like 80% or 90% are going to cost less than a 98% Ultra Efficiency model. The brand name you decide to have installed also plays an important role in the cost of a gas furnace in Charlotte. Leading brands like American Standard, Trane and Carrier tend to cost more than lesser brands like Bryant, Goodman and Fedders. You may think that all heating contractors in Charlotte want to work on every furnace installation project that comes their way, but that’s just not true. Some companies prefer not to work in different areas of town due to their office locations, or maybe they have chosen to specialize in different high end heating systems or Geothermal, versus standard installations. The bottom line however, is that not every company wants every installation project. For this reason, you should always get at least three quotes for your installation or repair project. Companies who NEED to work are going to price their work to get your business. How Much Did You Pay for Your New Furnace? Did you recently buy a new gas furnace from a Charlotte area contractor? If so, share the experience below. Feel free to generalize the cost of the new gas furnace as well, for others to use as a comparison to what they can expect.